This time of year there’s green on the trees, green in the fields, gorgeous green plants sprouting up everywhere you look. But are there greens on your plate? Your body and your bones hope the answer is yes. Today we’ll have a look at a compelling reason why, by examining a powerful compound found in green cruciferous vegetables: sulforaphane. Sulforaphane is a naturally-occurring substance with a remarkable benefit: it increases bone density. The scientific studies we’ll examine today, show the bone-building properties of sulforaphane, properties that Big Pharma has attempted (and failed) to replicate in the osteoporosis drugs it manufactures. 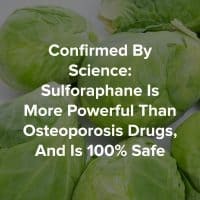 Unlike those costly and risky pharmaceuticals, sulforaphane is naturally-occurring, has no negative side effects, actually improves additional areas of your health, and you can get it as part of a delicious bone healthy diet! Read on to learn how. Sulforaphane is a naturally occurring organosulfur compound, which means that it’s a sulfur-containing organic compound. These are very common, since sulfur is an essential building block of life. Sulforaphane is classified chemically as an isothiocyanate. These biochemistry terms might make this substance seem foreign and unfamiliar, but you actually know it quite well. It’s obtained from common foods like broccoli, brussel sprouts and cabbage. Interestingly, sulforaphane actually doesn’t exist in it’s final, bone-building form until you’re in the process of eating a cruciferous vegetable. 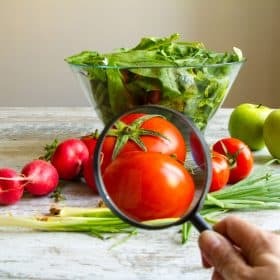 The compound is produced when the plant matter is damaged by chewing or crushing, allowing two component compounds, the enzyme myrosinase and the glucosinolate glucoraphanin, to mix and react. The enzyme transforms glucosinolate into sulforaphane, and then your digestive system absorbs and delivers it. Bone is a living tissue. It changes, grows, and is subject to many different processes. Bone remodeling is regulated and performed by two cells types: osteoblasts and osteoclasts. Osteoblasts generate and secrete the matrix for the creation of bone, or bone deposition. They quite literally build new bone. Osteoclasts perform the equally important function of clearing out old bone material – bone resorption. When these two activities fall out of synch, the quality of bone is reduced. Bone density deteriorates, and bone strength along with it, if the osteoblasts are underactive or the osteoclasts are overactive. Many pharmaceutical solutions to reduced bone mineral density have taken the approach of creating the reverse imbalance: typically inhibiting osteoclasts so that more new bone is deposited than old bone is removed. However, studies have shown that this medically-induced imbalance leads to serious risks and problems: making bones bulky, brittle, and prone to fracture, especially after long-term use. It should be no surprise that artificially turning the dials on a natural process could yield such poor results! This is precisely the result that Savers are seeking, and in a safe and natural form: cruciferous vegetables. But the mechanics of this effect are almost as exciting as its result. Sulforaphane stimulates osteoblast activity epigenetically. This impact goes all the way to the root of our bodies’ architectural framework: our DNA. Epigenetics is a field of biology that examines the expression of genes. The name itself translates from its Greek roots roughly to “beyond genetics.” As this area of science has expanded, researchers have shown that there is more to who we are than a single unchanging set of results stemming from the instructions in our DNA. In point of fact, our DNA contains many possibilities that may or may not be activated depending on outside stimuli. This is great news, because it means that even if you have a genetic predisposition to a particular condition, the possibility remains that you can avoid the triggers that cause that condition to manifest. Conversely, you can alter your genetic expression for beneficial mechanisms that are just waiting to be unlocked. That might be a little complex, but the result is one you already understand: stronger, more flexible, healthier bones. That’s not all that sulforaphane has to offer. All of these are great sources, but the cruciferous vegetable with the highest concentration of sulforaphane are broccoli sprouts, (not to be confused with Brussel sprouts!) and they make a great addition to salads or sandwiches. Savers are already familiar with these veggies, especially those that are Foundation Foods, marked with an asterisk above. These foods are notable for containing bone-essential vitamins, minerals, and phytochemicals. If these foods aren’t already on your plate, consider OsteoCleanse™ The Seven Day Bone Building Accelerator. This whole-health cleanse is focused on inclusion and not deprivation, making it healthier (and easier!) than starvation-based fad cleanses. Cruciferous vegetables play a significant role in the dietary specifications of the seven day cleanse that flushes out the toxins and osteoporosis drugs out of your body and sets the stage for restoring the health of your bones along with the Osteoporosis Reversal Program. Aside from sulforaphane, cruciferous vegetables contain a phytochemical that is essential to the detoxification process: d-glucarate. Sulforaphane and d-glucarate-containing foods are included in recipes for the once daily raw dishes, juices, smoothies, and much more that are an integral part of OsteoCleanse™. 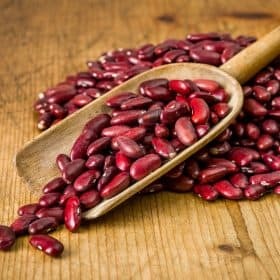 They offer you a delicious blast of nutrients, and open the door to accelerated bone building, better liver and kidney function, more energy, optimal sleep, and a younger appearance. Isn’t it great to know that there is so much power in what we eat? Indeed, we can improve our health at the most basic level – the expression of our genes – by eating the right foods. Feel empowered by this knowledge, and use it to make life-changing improvements to your bone-building habits today! Hi Vivian, I had a bone scan in Sep/17 with a spine T-score of -2.6. I changed my diet to include more calcium and added the recommended supplements of minerals as well as Vit D. I eat a variety of fruits and vegetables daily. I also started a 3 day per week exercise program at the local Y. I had another bone scan this past September but my spine T-score is now -3. I am now seeing an endocrinologist who is strongly recommending the new bone drug Forteo. I have previously been on Fosomax and Prolia injections for a total of 8 years. I have not taken any bone drugs now for 3 1/2 years as would prefer to regain my bone health naturally. I found your website just today and am hoping that your program will give me the missing links that I need to improve my bone health. I should mention as well that I am a worrier and suffer from anxiety (at times severe) as well as insomnia which I know are detrimental to bone health. Do you also provide suggestions and information on how to combat this problem? Where do I buy the actual books. I bought the online books but I would prefer actual books especially the cooking one. Thanks. Vivian, is it ok not to take a dexascan? When I take it — it shows osteoporosis and my doctor always wants me to take medication. I used to take fosomax & later a toned but have long stopped taking them after learning from you. I thought if I don’t take the dexascan she won’t tell me to take meds. Thank you for your reply. Grow my own broccoli sprouts and smoothie it every day. Dr Rhonda Patrick has a lot to say on this subject. Could you please include the individual recommended daily intake of the cruciferous vegetables listed to achieve the desired consumption? I just have a question before I order. 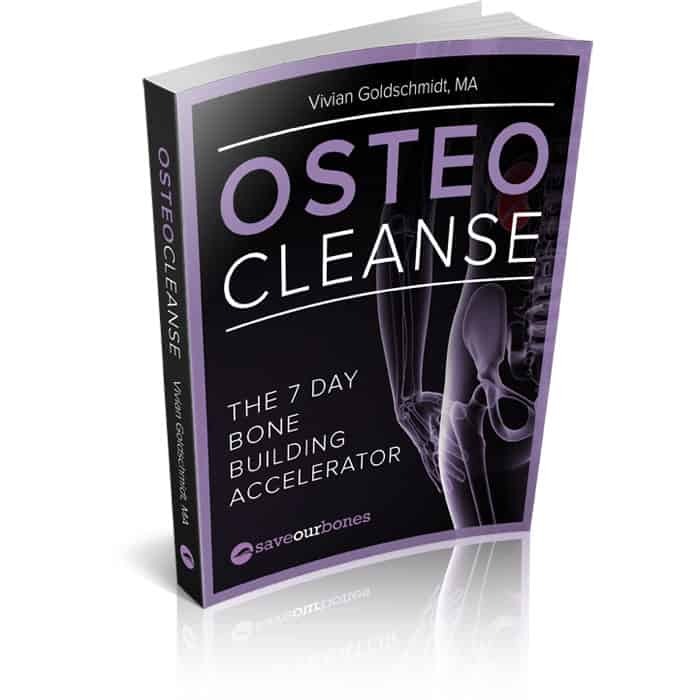 I’ve been a saver for a few years now, and I still have your Rapid Cleanse – the 7 day osteoporosis drug cleanse. I believe its the same thing, but I not, pleaSe let m know. Thanks. Thank you. I’ll keep enjoying the one I have then. I wish my doctor could read Judy’s comment on breaking her hip, even after taking one of these drugs. I have had all of these suggested: Fosamax, Actonel, then Prolia and lately Reclast: promoted for bone loss attributed to long term steroid use. I think I took Actonel or Fosamax for a short period until my jaw began to hurt. The Rheumatologist said quit taking and see if pain went away, which it did. I am scared to death of all and am concerned that I might fall. I don’t feel safe taking any of these. I can’t get off of Prednisone. I will try Vivian’s program and see if this will help curb my osteoporosis. DO try the program, and be sure to include the exercises on a regular basis,especially if you are not doing much else. When I went off Fosamax, I took calcium and increased my Vitamin D to at least 200, and this was before I discovered this program. The results of my next bone scan were quite improved. I, too, am interested in whether or not this phytochemical can be destroyed by cooking. Swiss chard is a rich source of many bone-building vitamins, minerals, and phytonutrients, including magnesium, manganese and zinc. It also contains some sulforaphane. I would also like to know if the benefit is lost by cooking? Back to July 4th, three of the five desserts brought to our lunch were apple crisps. LOL I have to share with you, though, that the Apple Crisp Delight from “Bone Appetit” was the winner. Everyone LOVES that recipe! On to greener food, thanks for the reminder. Cancer seems to be more common by the month, and detox is so important with all the contaminants we face daily. Green every day is on the menu to stay! Thanks for sharing this with us, Kimberly! Sounds good…but what about the goitrogens in cruciferous vegetables? I have read that people with thyroid disease should avoid foods with goitrogens. It is so confusing to know which way to go and which condition to eat for. Congratulations on your improved bone scans, Judy! studies have shown that this only occurs in those who do not consume adequate amounts of iodine. So as always, moderation is key! Thanks, Vivian…that makes sense. I will add some back into my diet. I also read that cooking them mostly destroys the goitrogens, so for me, it seems the way to go, if the sulforaphane is not also destroyed. Vivian, thank you for this powerful information. It is very good to know that you can get this SFN compound by eating all these wonderful cruciferous vegetables instead of taking osteoporosis drugs with all their negative side effects. Broccoli and cauliflower are my favorites. Thankyou for this. I appreciated some of the value of these foods but it was very helpful.How much benefit is lost in the cooking? Must not overcook I assume. Great question, Mary! Cruciferous vegetables contain myrosinase, an enzyme that converts the phytochemical glucosinolate into isothiocyanates, a compound that has been shown to have anti-cancer properties. Myrosinase is destroyed by heat, so cooking cruciferous vegetables reduces the conversion of glucosinolates. Studies have shown that steaming causes the least loss of glucosinolates in broccoli while boiling causes the biggest loss. Vivian, my latest DEXA Spine T-score is -3.1 — I’ve been put on Alendronate 70mg— But because I’ve been reading you and have bought all your books, I have not even started taking the meds. Please tell me what you think and also I would appreciate some encouragement and motivation to practice what your books recommend. Thank you! I’m not Vivian, but I took myself off Fosamax a few years back and upped my intake of calcium and vitamin D, along with magnesium and a variety of others that also support my thyroidism, as well as the osteoporosis. But most important is the diet and exercise. If Vivian’s diet seems overwhelming, start small…for example, cut out or at least cut down on diet or regular soda consumption. 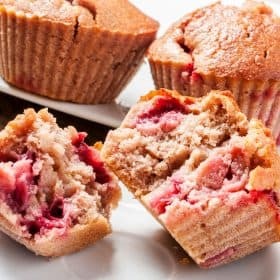 Or reduce sugar intake, or eat your main meal each day with no processed foods. Then you can build on that until you get where you want to be. You don’t have to do it all at once. My doctor still tries to feed me meds every time I go..always the newest on the market. I always say no thanks and fortunately that is the end of it. If you have a doctor who does not listen to you or bullies you when you refuse, find a new doctor…one you can share what you have learned from Vivian and other sources about your condition and what is working for you.